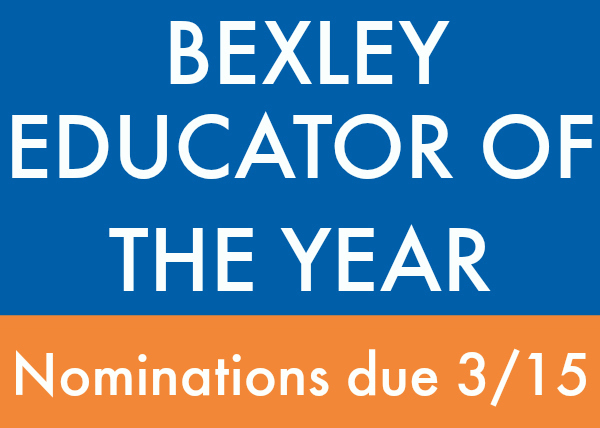 Nominations for Educator of the Year are to Thursday, March 15, 2018 to the BEF Office by 5:00pm. Nominate an outstanding teacher who has made an impact on your child(s) education. You can download the form below and send it back to Pam Glasgow at Pamela.glasgow@bexleyschools.org. If you have any questions please contact the BEF Office at 338-2093.